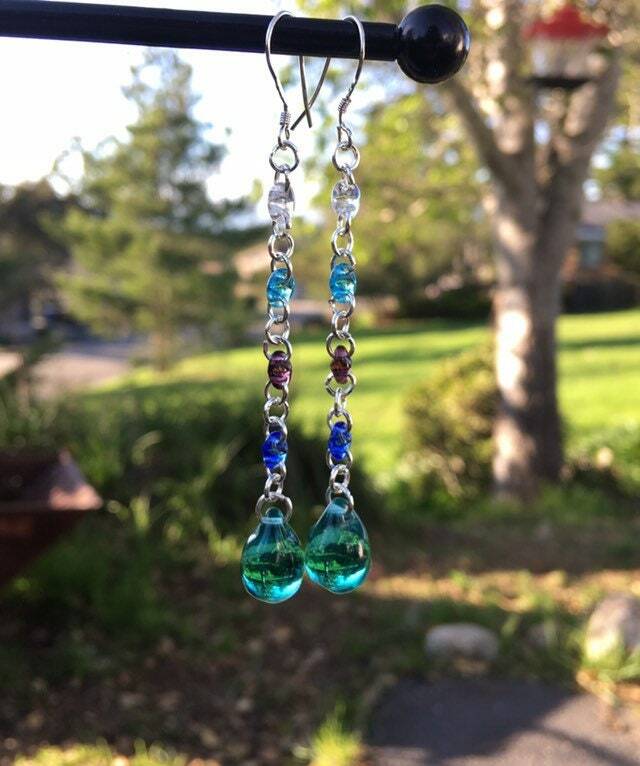 These gorgeous, Czech earrings are beautiful danglies. The colors in this little bundle are: shades of blue and teal. They are about 2 1/2" long. 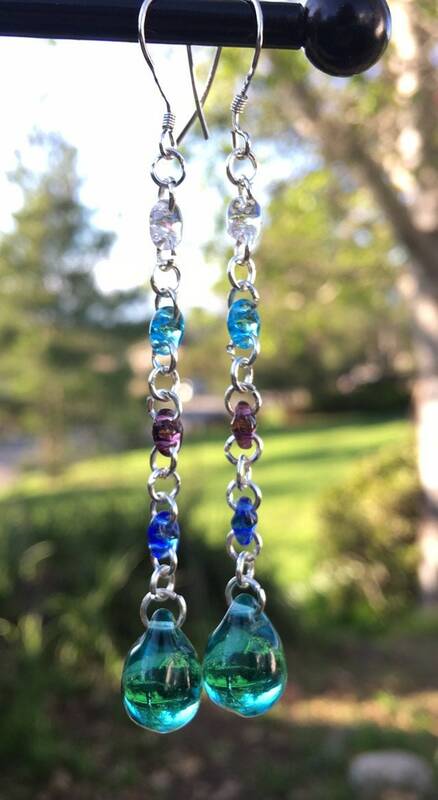 Be sure to check out my other jewelry: I have many different colors, shapes and sizes!